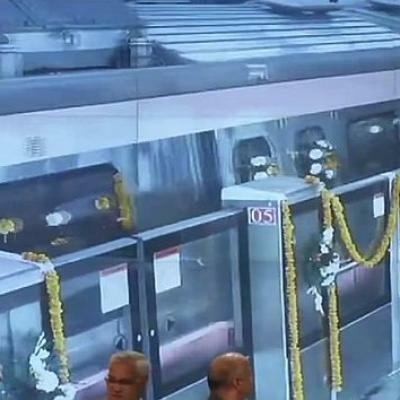 The 9.7-km Lajpat Nagar-Mayur Vihar Pocket 1 corridor of the Delhi Metro’s Pink Line was inaugurated by Union minister Hardeep Singh Puri here on Monday, which directly connects south and east Delhi on the rapid transit network. The new segment is part of the 59-km-long Pink Line, which spans from Majlis Park to Shiv Vihar. According to a senior official, passenger services on the corridor will commence from 4 pm. “This is the sixth time a metro corridor has been inaugurated this year, which is truly a great achievement. The work on the Phase-III of the DMRC has been almost completed with nearly 96 km of it being made operational this year,” the Union Minister of State (Independent Charge) said.